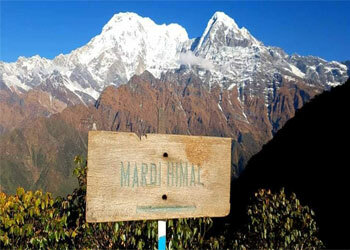 Mardi Himal Trek is getting popular day by day. Near by Pokhara, this trekking is a less traveled route located in the most visited destination Annapurna region. 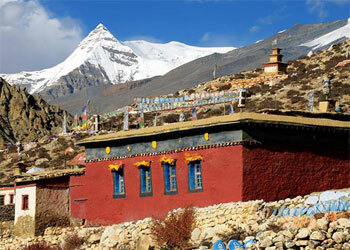 It is best to experience the brilliance of solitary ever snow capped peaks and the great opportunity of an excellent cultural experience and venture of Machhapuchhare Base camp. The exotic and interesting trail wanders through lush valleys, alpine meadows, lichen-laden dense forests, numerous streams, and waterfalls, with the fascinating mountain sceneries glossy upon the close horizon. The path is so less used and non-touristy that you feel like embarking upon a discovery expedition. Want to get close to mountains but don’t have enough time? 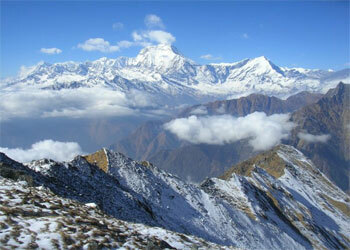 Then, the Mardi Himal trek is what you should opt for. 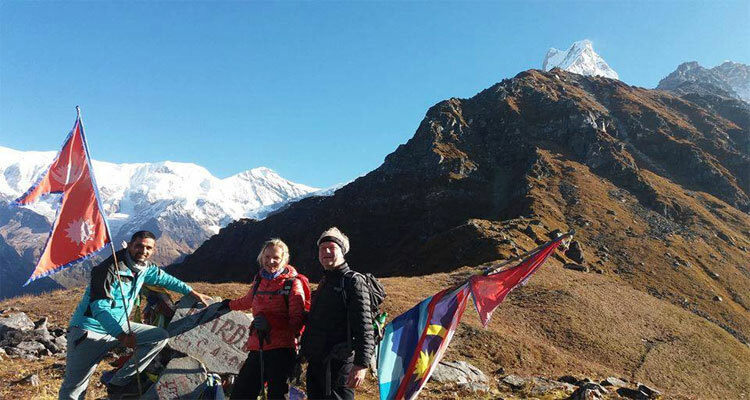 Situated in the most popular destination Annapurna Region, Mardi Himal treks offers you prospect to experience picturesque mountainous environment soaked view of green hills, snowcapped mountain and walks into the pristine forest of lovely rhododendron and oak. On your way to Mardi Himal, there is Annapurna South, Himchuli, and Machhapuchhre peaks, you will find them standing tall right in front of you. This is the shortest trek. The trail starts from Pokhara, boating in the beautiful fewa lake, walking through the pine, juniper and rhododendron forest and the Rivers the route takes us deeply to the upper Mardi Khola. On this route you will get the taste of the real thing if you are light on alpine experience. The climbing trip can be combined with a trekking adventure in the remote steep-sided valleys heavily wooded with bamboo and rhododendron. Above the forest, high alpine pastures provide good grazing and undisturbed habitat for wildlife. It’s prominence on the wilderness zone of mountains designed to provide outstanding mountain views and to get away from the tea-house trails and into the forests and villages that have not felt the impact of tourism. The Mardi himal trekking route will give you a great place to get a taste of the real thing if you are light on alpine experience, if you are looking for short trekking experience get ready to experience the magic of this trekking holiday. Trip Snippets: 12 days, 5 night’s hotels, 6 nights Lodges, Breakfast in Kathmandu and Pokhara, 3 meals a day ( breakfast lunch and dinner ) during the treks included. We will meet you at the airport and transfer to your hotel. As you freshen up after your long journey, you will be asked to visit our office for a briefing on your program. You will have a meeting with your trekking guide and discuss the equipment needed for the trekking and we will process for the trekking permits. If you arrive at night we will have the same discussion in the next day morning. The very next morning, after breakfast you will be taken for a full day sightseeing tour around Kathmandu valley. You can visit the center of pilgrimage Pashupatinath Temple and Swyambhunath, very ancient and essentially enlisted in UNESCO World Heritage sites. The biggest Buddhist Stupa at Boudhanath might make you feel calm and peace and visit Patan the city of fine arts and Durbar Square is full of Hindu temples and Buddhist monuments. On a journey back to the hotel, you can explore the local areas, gullies, and lifestyle. After your dinner, you can perhaps take a leisurely stroll through the famous streets like Thamel and Durbarmarg. After having your breakfast, we will drive you to the Domestic Airport to take a 25 minutes flight to Pokhara. Or if you wish you can take a Tourist bus to Pokhara about 6-7 hour drive exploring & enjoying with scenic beauty all the way around. In the evening, a boating trip on Phewa Lake will be followed where you can enjoy the spectacular views of the Annapurna Himalaya Range reflected in all its glory in the calm green water of the lake. Take a 30min drive to roadside shacks of Phedi. The start of the trail heads up the hill on a set of steps across the road. The main part of Dhampus valley is on the top of the ridge, more than 500m above. The area is inhabited by Brahmins, Chhetris, and few Gurungs. Crossing the dirt road a couple of times and stone staircases make the trail more adventuring. The spectacular panoramic view of Annapurna Himalayan range makes your overnight staying much greater.overnight at Deurali at local guest house. Day 05: - Deurali trekking to forest camp (2,520m/8064ft): 6 hours. We will trek about 6 hours today . The trek enters an enchanted forest of birch, giant rhododendron, mountain oak, maple, hemlock, and daphnia. The overnight camping here enjoys relaxation after a long tough but adventuring trail. overnight at Forest in local guest house. Meals includes:Breakfast, Lunch and dinner. As we climb, the flora has turned to classic ‘cloud forest’ with mosses and lichen, tree ferns and orchids hosted by the hardier trees. There are windows in the woods that look out onto the thrilling panorama – close up the dramatic scenery of sacred Mt. Machhapuchhare, Mardi Himal, and Annapurna chains. overnight at local guest house. Day 07: - Low camp to high camp (3540m/11,328ft): 3-4 hours. We have our early breakfast and start trekking to reach our highest point of the trek. If conditions are favorable we will climb up to 15,000/16,000 ft. The great ice fields and the blue glaciers of the Annapurna sanctuary walls lie below us. The view we capture today will be never forgotten. Overnight at local guest house. Today you can have rest day, Or you can go early in the morning to towards Mardi Himal View point to view sunrise In the mountain range. You can see Yak, sheep and goats from lower village grazing in the land. after great view you will trek town to High camp to sleep at local guest house.The view of the Himalayan vista from here is astonishing. We see Mardi Himal (5587m), Annapurna I (8091m), Annapurna south (7219m), Hiunchuli (6441m), Baraha Shikhar (Mt. Fang) (7647m), Tent Peak (5695m), Singhachuli (6501m), Machapuchhre (6993m) and others. After breakfast, today journey starts an unhurried descent through the shade of the forest and out on to the terraced fields, down 1600m. This is a different route down to the upper Mardi Khola. Here, as we make our way along the banks of the Mardi Khola from the hillside village of Siding, down through the lovely fields, passing the simple farms and over the interesting suspension bridges. There is no doubt that this is indeed the idyllic Nepal Countryside. Overnight local tea house. Today after breakfast , we start walking passing through Kalimati Village where Brahmins enhabitant leaves, After Kalimati we will reach Ghalel mixed of Brhamin and Gurung people, we will trek till Lumre from Lumre, we drive back to Pokhara by jeep. O/N Hotel. Meals includes: Breakfast and Lunch. 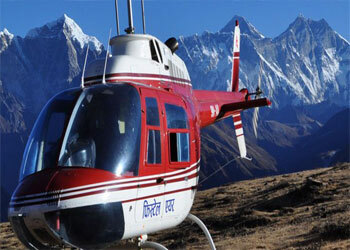 Day 11: - Pokhara to Kathmandu, Take a 25 minutes flight or 6/7 hour Drive. You can take a flight or drive by tourist bus/Private car to Kathmandu. In the evening you can have your last night in Nepal enjoying the Nepali cultural dinner show, taking some beautiful snaps and making up your mind about the returning journey. You can have greetings exchanging with friends and with all Nepalese people. We will drop you at the International Airport for your journey back to our home.